Charlie Daniels had a sentimental surprise on Christmas. It was a special guitar, the very one that he used for years on tour and in studio recordings. Charlie donated the guitar to raise money for charity years ago. 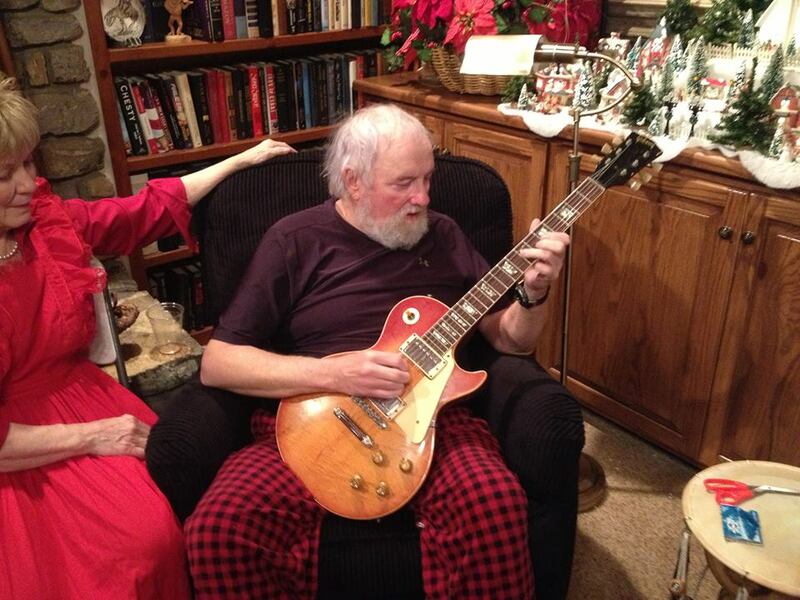 The person that originally bought the guitar made it available again and Hazel bought it back for Christmas. Charlie is still wowing crowds all over the US. In October, we took my 16 year old niece to the Opry for the first time. I thought for sure she would connect with the younger artists that performed that night. Instead, her absolute favorite was the great Charlie Daniels. He is multitalented, playing many instruments and singing beautifully, but when he picks up that famous fiddle there is nothing like it. You can hear a pin drop in any audience as they don’t want to miss one movement of his bow. He is simply the best there is, enough to impress a 16 year old girl from AZ.